What started as an “applause line” at Donald Trump’s 2016 campaign rallies “has morphed into one of the dumbest policy debates in the history of American politics,” said Christopher Hooks in the Texas Observer. The only reason we’re a month into the longest government shutdown in our history is that President Trump fears disappointing the MAGA-heads who cheered deliriously when he promised them a “big, beautiful wall” across the southern border that a humiliated Mexico would pay for. Two years later, with no wall being built or paid for, he’s demanding that Congress authorize $5.7 billion to build a steel fence or something, anything along our border with Mexico. Not only is Trump’s wall opposed by voters 55 percent to 43 percent, it would also be an ineffective and wasteful way to address what Trump insists is a crisis of drugs, criminals, and illegal immigrants “invading” our country. Drug dealers don’t lug heroin for days across mountains and deserts; they smuggle it in through border checkpoints in cars, trucks, and people. The vast majority of migrants showing up at the border today are presenting themselves voluntarily to U.S. authorities and legally requesting asylum. The only value in Trump’s wall, in short, is that it’s a “simple expression of racial resentment” to gratify his base. Let’s get our facts straight, said Ford O’Connell in TheHill.com. Contrary to liberal caricature, Trump isn’t proposing “one continuous wall” along all 2,000 miles of our southern border. The $5.7 billion would be spent to upgrade and add about 200 miles to the 650 miles of fencing and barriers that are already in place thanks to the votes of such notorious racists as Sens. Barack Obama, Joe Biden, Chuck Schumer, and Hillary Clinton. Such barriers work: The fencing in Yuma, Ariz., constructed with bipartisan support in 2005 produced a 90 percent drop in illegal traffic in that area. Unfortunately, said Emily Ekins in TheFederalist.com, some of the “inconsiderate” rhetoric Trump has used about immigrants has “racialized” the issue of border security. Democrats now oppose a wall only because Trump is for it. 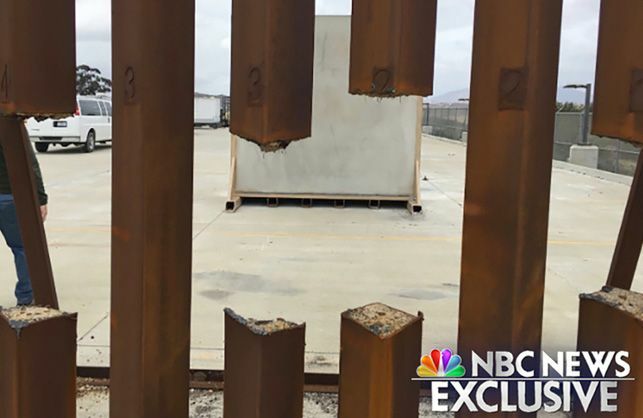 The real question is whether a wall would really work, said Jacob Soboroff and Julia Ainsley in NBCNews.com. Trump has settled on a design that features 40-foot-high, sharp-pointed steel slats that he deemed “very, very hard to penetrate.” But when the Department of Homeland Security tested a prototype of this kind of fence in 2017, it found that the slats could be quickly cut through with a hand-held metal-cutting saw. Smugglers and migrants are already using sledgehammers, saws, ladders and other tools to get past existing barriers. All barriers are “mere temporary inconveniences” to anyone truly determined to enter our country, said Kristine Phillips in The Washington Post. The Border Patrol has found hundreds of tunnels—some a half-mile long—dug under existing fences to smuggle in people and contraband. So why spend another $5.7 billion for the illusion of border security?